This post shares an idea I've got for Mobile Banking smartphone applications. Any Bank or Banking software firm is free to adapt this idea, a credit will be appreciated. 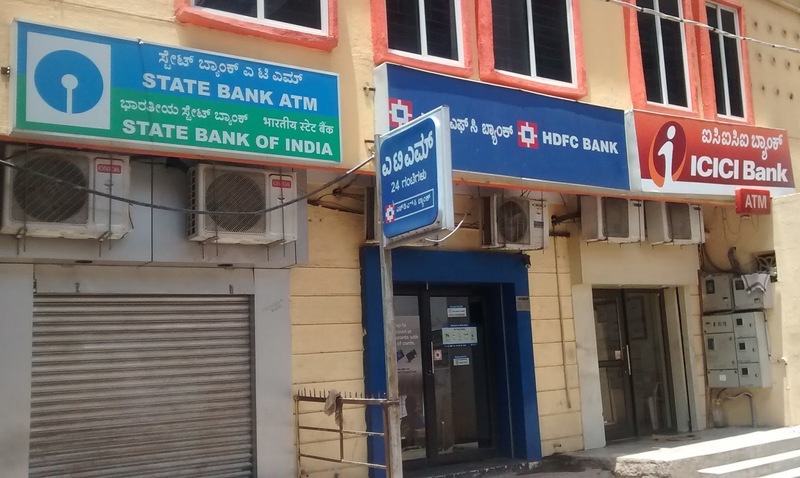 This idea is related to saving time at the ATMs, for Bank as well as customers. In current world, most of the banks have mobile apps and many transactions can be done using the mobile phone. However, I realize that there're additional potentials, if we can link Mobile app to ATM systems. Customer goes to ATM, waits in the queue... after his turn comes, goes inside, keys in his details, amount to withdraw etc. In a happy day scenario,this works fine, but if there's not enough balance or if user has exceeded limits or any other error condition is a total waste of customer's time and ATM's time. Pls note that making a request via mobile is not a replacement for traditional authentication. It is only a suggestive feature. User need to authenticate one more time using ATM and PIN at the machine and if there're some issues in between (after user checked on app and when he actually inserted card into the machine), there could still be errors. A really useful idea specially in today's world where time is money and nobody has extra time to waste. All the best and hope someone develops this idea soon. With mobile banking we are basically doing away with the need to have liquid case or plastic money. You can pay for a coffee at CCD using your mobile phone. You make a purchase and make payment from your phone. They can also check their account balance. Not sure if we have the option of searching for ATMs, but it seems it should be present in GPS/Maps. In such a scenario, one may need to visit an ATM only when they are buying stuff where they need to pay actual cash. Regarding availability check in one's account, it can be done in the phone itself. Availability of money in ATM, will be tricky as the person just in front of you can withdraw an amount which makes the amount lesser than than your requirement. Also, this may be a security risk as well, as someone can have an idea of how much minimum amount is present in a ATM at any given point in time. Using an app can certainly improve your banking experiences Moreover it saves a lot of time too.Thanks for sharing the information . Definitely mobile banking is a very useful application as we can keep bank at our hand only. Mainly people dealing with many banking transaction daily find this one very helpful..